Esther Winckler chose Chilliwack General Hospital for her elective surgery not only because her husband Lawrence and she were residents of the neighbouring community of Cultus Lake and her GP had a practice in Chilliwack, but because she had done her research and was impressed by the pre-and-post op Hip Replacement Program for seniors in the region. 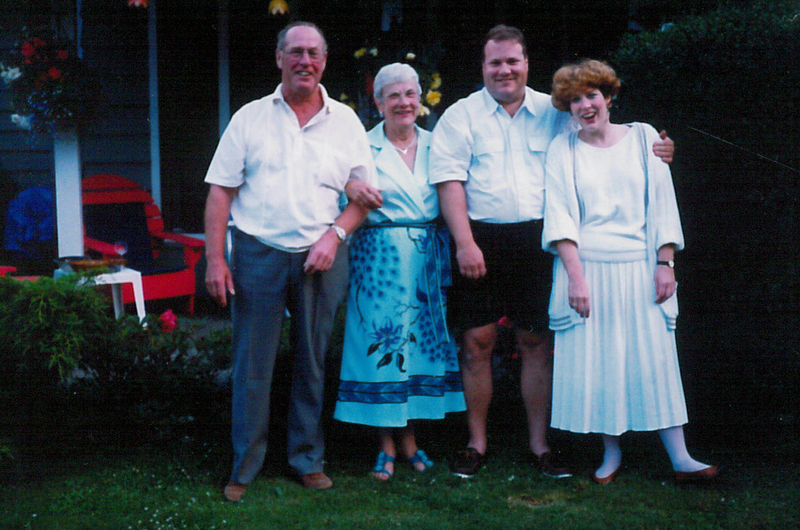 The family who lived in downtown Vancouver had pushed instead for a Vancouver teaching hospital, but Esther had weighed her options in a well-considered way and determined that her best chance for individual attention would come from staying in her own community. It was a decision that would cost her life. She entered the hospital on Sunday afternoon, February 20th, 2000 after a day at home getting her recovery bedroom ready with projects waiting for her return; meals lined up for her husband; and an afternoon in the winter sun overseeing clean-up of her beloved garden. The Coroner’s Report came out May 20, 2002 and the official medical responses were mixed. While the RNABC and Fraser Valley Health Authority took a refreshingly open stand, working with our family to find answers and implement change, it became one of the family’s biggest disappointments that the College of Physicians & Surgeons took a closed door approach, never interviewed the family to probe inconsistencies in the testimony of their members, and did not in the end feel the case warranted going past Peer Review to disciplinary action or any follow-up recommendations whatsoever. Given all the positive outcomes that have come from the death of Esther Winckler (see What We Learned), the family feels that this response denied the College a valuable opportunity to learn and correct in the spirit of transparency and no blame. Husband Lawrence Winckler’s health took a turn for the worse following the release of the Coroner’s Report and a month after receiving the responses from the medical community to the Report, he was admitted to Chilliwack General Hospital on Easter Friday, 2003, where he died one day later. The family can report that none of the aspects of care that had challenged Esther were experienced by her husband and he died peacefully and under the umbrella of professional care.